How did your business first start - what did your journey look like? Easy As VAT first started as a blog where I shared accounting and tax tips (and still do!) for anyone who was self-employed, but mainly focusing on bloggers who were earning an income through their blog or social media. Quite early on I was introduced to the world of digital entrepreneurs such as coaches, digital marketers, etc. 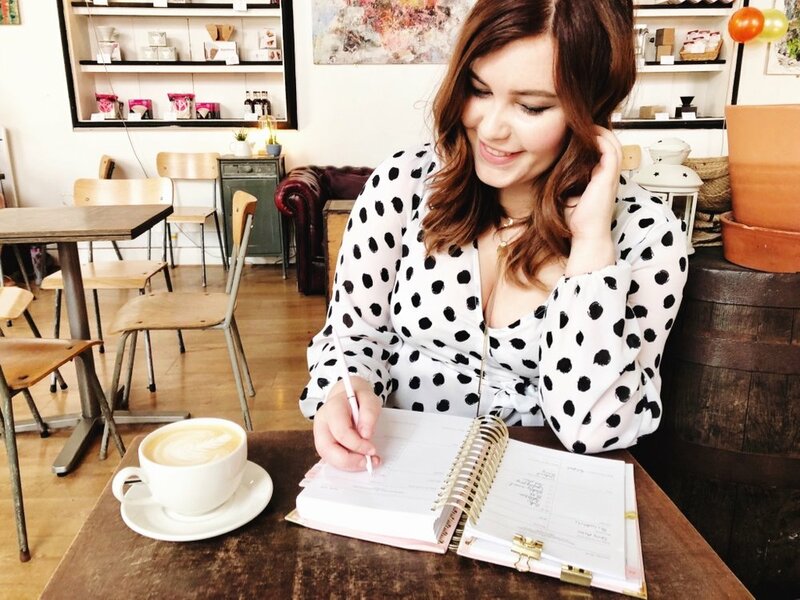 and without realising it, I started to grow a little community of creative female business owners who wanted to take control of their finances and overcome any fears or reservations they had about managing their money. Initially, I offered accountancy services, but this kind of jarred with my blog, which was sharing advice on how to do it yourself, so I pivoted to coaching as this made more sense and complimented my passion for helping women to have the knowledge and confidence to manage their finances and build sustainable businesses. What was the inspiration behind the Independent Girls Collective? The Independent Girls Collective was something I had in the back of my mind for about six months before I actually decided to go for it. While I love coaching, I was aware that a huge amount of my audience was at the start of their business journey and couldn't afford a large investment just yet but still needed help with the financial side of things, or in some cases were too nervous about having to deal with numbers to start their business. I resisted the idea of creating a membership for a long time because I knew that lots of people were doing it and I didn't want to jump on the bandwagon. But in the end, membership is what makes the most sense for my audience and also myself, as it allows me to flex my creative muscles, share my knowledge and be part of a supportive community. What sort of things are members able to access on the platform? Members get access to lots of courses and resources to help them to grow their business and manage their finances, as well as being part of our lovely community of amazing business owners and getting live masterclasses and Q&A sessions with industry professionals. You do a lot of work to help women and female entrepreneurs manage their finances, why do you think this is so important? Money affects almost every area of our life and so I think it's incredibly important to feel comfortable and confident about it. Women have only been allowed to earn and be in control of our own money for a short time in the grand scheme of things, and there are a lot of stereotypes put on us that can make us feel like we're incapable of managing our finances well, but we are very much capable and I want to spread this message as well as providing the tools women need to be able to do this. What’s one piece of advice you think all bloggers should listen to when managing their finances? Make things as easy for yourself as possible by being organised. Keep track of what you buy for your blog and any money you make from it, and automate what you can. Julia is the founder of Easy As VAT financial coaching and The Independent Girls Collective, a membership community which helps women to make, manage and feel confident with money. Julia is passionate about empowering women to feel good about money so they can live fulfilling, sustainable lives.